Data storage in clouds is very popular and widely used in the modern world. The Amazon is one of the companies which provide this service. Amazon Web Services offers the inexpensive and reliable cloud computing services, that's why many large companies prefer the Amazon Cloud for storage and operating their data. 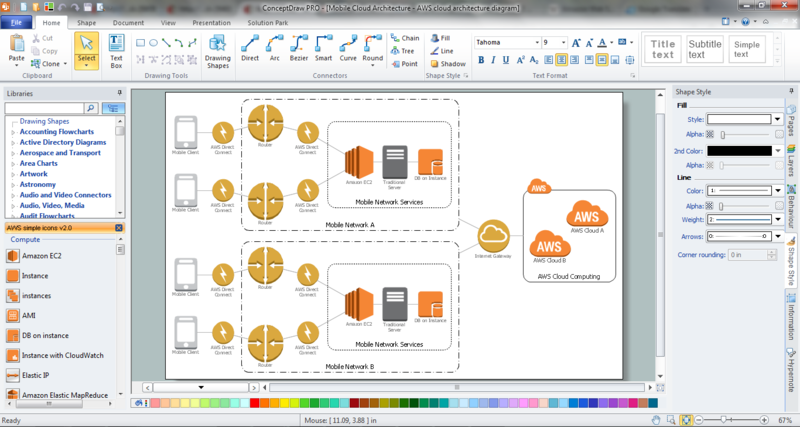 It is convenient to draw various AWS diagrams explaining the use of amazon cloud with help of tools of AWS Architecture Diagrams Solution from the Computer and Networks Area of ConceptDraw Solution Park. AWS Architecture Diagrams Solution offers you the extensive drawing tools, collection of samples and templates, and 2 libraries with predesigned vector objects of amazon storage, amazon cloud, and many other amazon services related symbols. 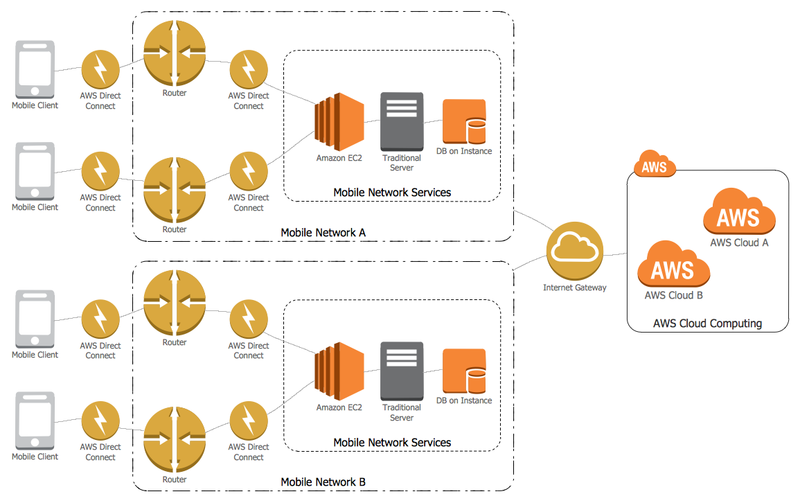 This AWS diagram was created in ConceptDraw DIAGRAM using the amazon cloud symbols from the AWS Architecture Diagrams Solution and shows the detailed scheme of Mobile Cloud Architecture. It is available for viewing and editing from ConceptDraw STORE. An experienced user spent 15 minutes creating this sample.